I strongly disagree with the idea that in order to follow a religion, we have to give up our ability to question. While this my be true in certain narrow minded cults, I personally I found my faith through questioning. I have always been extremely inquisitive, and that hasn’t changed since I started praying! Many scientists throughout the ages have been devout believers of one religion or another, a fact many choose to forget. There are many things in this life we do not understand. Even though many today know far more than their forbears, this only causes us to realise how little we truly understand. If ever there was a case for the existence of God / Creator / Divinity, surely this is it! There is clearly beauty, detail and complexity in every aspect of this universe. When we discover one level of this, we find another, and yet another as we investigate further. 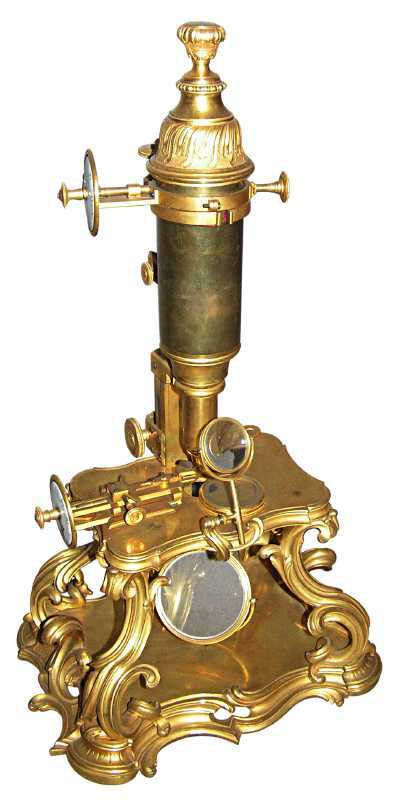 Look for instance at the development of microscopes. Scientists in the time of Charles Darwin, saw cells through microscopes, just thinking they were simple gelatinous blobs. With better microscopes, scientists realised cell’s contained various organelles inside. Today, when we look at cell’s through the latest electron-microscopes, we see that each minute cell is an incredibly complex structure. We analyse the chemical processes that occur continuously within each cell, amazed how all this can happen within tiny cells, far more efficiently than our modern industrial chemical processes. Cell’s have inspired bio-chemists, to learn how we can improve our own chemical industry. We haven’t even discussed DNA yet. The sheer amount of information encoded into the DNA molecules of any cell, is enough to fill libraries, if it were written down as letters in books! If we question sincerely, we have to wonder how all this came to be. While it makes sense, there must have been some process of how life came to colonise the Earth. Was this purely as the result of chance and coincidence, or is there more to it? Nothing humans have produced in our entire existence, has even come close to the complexity and ingenuity of nature. Hence, why many scientists are trying to reproduce natural processes and structures in the laboratory. Surely it takes more blind faith to believe all this came to be without a God, than to believe there is Supreme Intelligence guiding our existence! This entry was posted in faith, religion, science and tagged creation, evolution, God, intelligence, religion, science. Bookmark the permalink.